WASHINGTON – Senate Democrats unveiled legislation this past week that would—among other things—protect homosexual students from discrimination in federally-funded schools. The 1,150-page long bill, titled the “Strengthening America’s School Act of 2013,” is a proposed revision to the “No Child Left Behind” (NCLB) act that was signed into law by President George W. Bush in 2002. Led by Senator Tom Harkin of Iowa, Democrats in the Senate are heralding the proposal as a necessary amendment to the decade-old NCLB legislation. However, many Christians and conservatives are alarmed by a particular section tucked in the middle of the education bill that would require federally-funded schools to not “discriminate” against homosexual or transgender students. This portion of the bill is titled the “Student Non-Discrimination Act of 2013,” and is based on a very similar act proposed two years ago in the House of Representatives. The non-discrimination act begins with the sweeping claim that homosexual and transgender students “have been and are subjected to pervasive discrimination, including harassment, bullying, intimidation, and violence, and have been deprived of equal educational opportunities, in schools in every part of the nation.” In addition, the bill suggests that “constitutional rights” are “infringed” when discrimination based on sexual orientation occurs. Many Christians see the Student Non-Discrimination Act of 2013 as not only a sly ploy to normalize homosexual behavior in schools, but also a scheme to cut federal funds from any educational institutions that promote the Biblical definition of marriage. 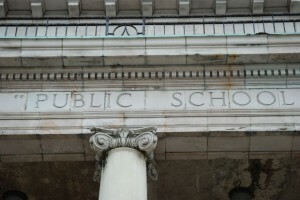 And while the proposed law seems to be designed primarily for public schools, some of its terminology is rather vague, leading to some concern that even Christian education institutions would be forced to comply with the measures. Meanwhile, homosexual activists enthusiastically praise the act, opining that it would be a needed improvement to schools across the country. One such supporter is Eliza Byard, executive director of the Gay, Lesbian and Straight Education Network. However, Republican senators released their own version of proposed education legislation on Thursday—two days after the Democrats unveiled their bill. The Republican proposal is less than 20% the length of the Democrats’ bill, and includes no mention of any homosexual non-discrimination act.